Welcome to the smallest show on Earth! The lights are bright. The tension, real. The audience, demanding, even if they are made of wood. Now it’s your turn to compete in the greatest contest of skill ever to grace the miniature world of toys, trinkets and plain old junk! Throw knives; launch acrobats; walk tight-ropes; tame lions; hone your skills solo or compete with up to four friends in a race to win the crowd. 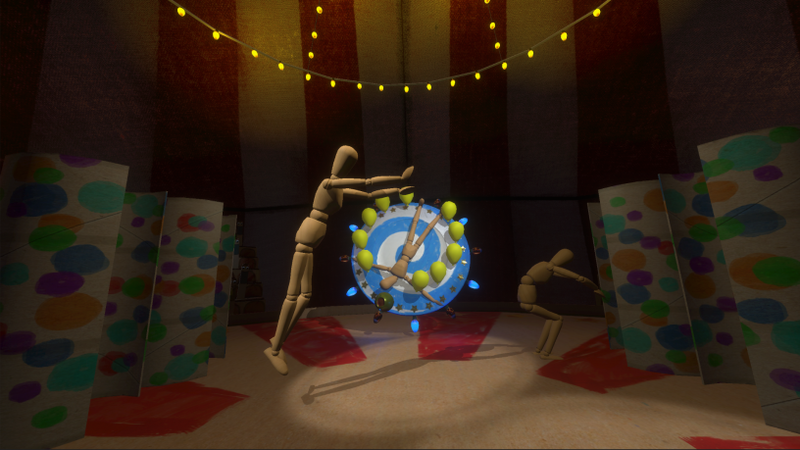 Developers AAD Productions and Alpha Wave Entertainment have released a trailer for their upcoming HTC Vive launch title, Felt Tip Circus. The game sees you competing against your friends (asynchronously) for high scores in a number of carnival-like games of skill, such as knife throwing, lion taming, and acrobatics. 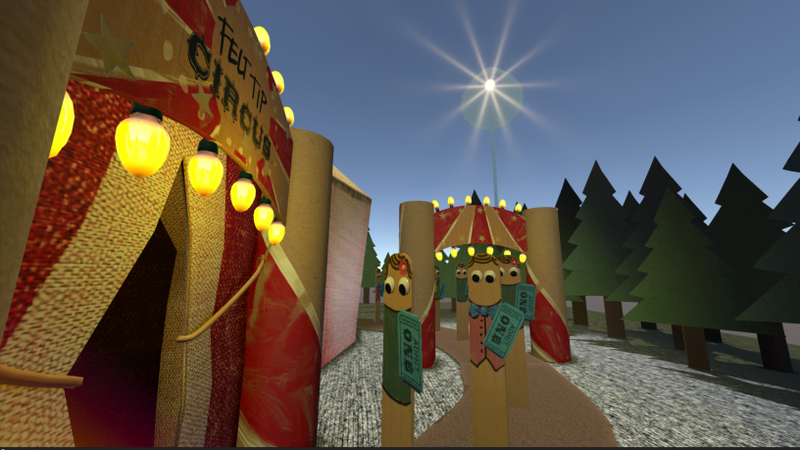 The game is set entirely under the dome of a circus tent, and presented with a miniaturised model aesthetic that lends incredible character to the visuals. Audience members are cardboard cutout sticks, while circus performers appear as wooden dolls used by artists to reference poses. Not only does it look cute, it plays into what Gabe Newell has called the "little people problem", whereby smaller versions of things viewed in VR are more compelling than if they were approximately life-sized. 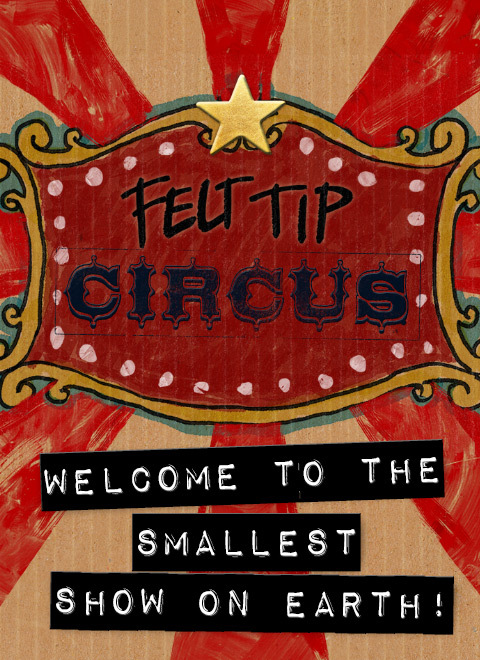 Though Felt Tip Circus presents the world as relatively to-scale, proportional to your perspective, you begin the game by literally shrinking down to the size of the model tent itself. Though multiplayer is limited to swapping the headset with your friends to take turns playing, the developer has been exploring remote multiplayer and spectating, but isn't yet aiming to include them as official features. The game will be out April 16, in time for the Consumer Edition of the Vive to have arrived with many of its pre-order customers.